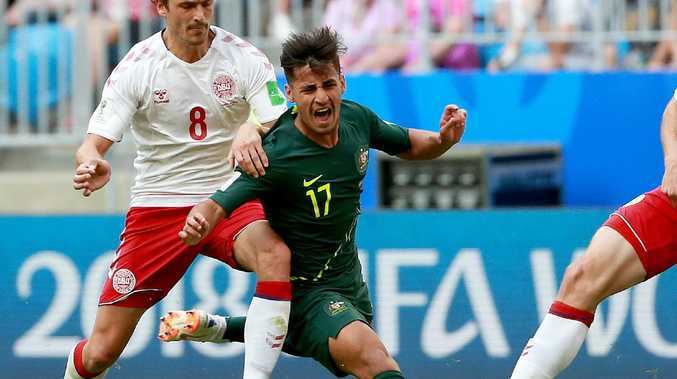 EMERGING Socceroos star Daniel Arzani appears certain to miss Australia's Asian Cup defence and the rest of his first European season after a bleak prognosis on his knee injury. Celtic manager Brendan Rodgers is bracing himself for the worst outcome for the 19-year-old winger - a dreaded ACL rupture - after he was hurt during his club debut in Scotland. "We are waiting on the final analysis of the scans but it is unfortunate. It looks like this week we will have two cruciate injuries in terms of young Daniel and Eboue Kouassi as well," Rogers said. Arzani was stretchered off just 22 minutes into his debut as a substitute on Wednesday during the 5-0 win over Dundee at Dens Park. A final and conclusive scan will come next week but reports in England and Scotland suggest Celtic already accept the worst. Arzani enjoyed a breakout A-League campaign with Melbourne City last season, working his way into the national team with a number of dazzling displays. He made his debut for Australia in the lead-up to the World Cup, scoring against Hungary in a friendly before making three appearances off the bench in Russia. The Iran-born and Sydney-raised talent then moved to sister club Manchester City, which loaned him to Celtic. At Parkhead, hopes were high the Socceroo could feature alongside established force Tom Rogic in a two-pronged Aussie attack. Unfortunately, on his long-awaited debut this week, the disastrous injury struck. "For young Daniel, it has been a period of adaption coming in but he has slowly been getting better and better. The timing was perfect for him to come in the other night to come on for half an hour ... and get a feel for it," Rodgers said. "It was so innocuous. He went to press at a throw in, went to change direction and his boot sort of stayed on the ground and he went the other way. "He will get some more scans at the beginning of next week abroad. Then there will be a plan in place for him in terms of where he does his rehab but he has settled in really well up here and has great connection with the group." It remains to be seen whether Arzani will recuperate in Manchester or Australia. 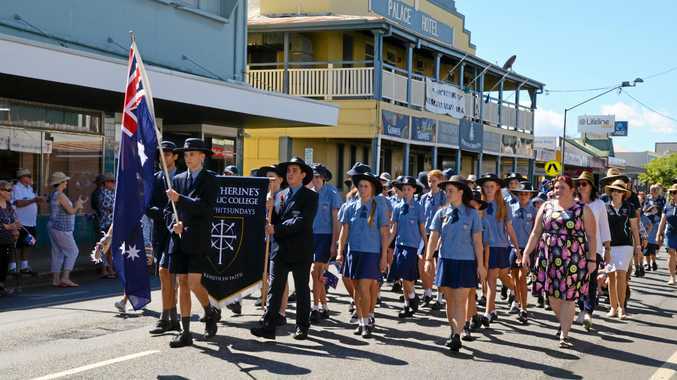 But an ACL injury will rule him out of Australia's home friendlies against South Korea and Lebanon later this month, and the continental championships in United Arab Emirates beginning January 6. Football Federation Australia released a statement saying it had been in contact with Celtic medical staff to monitor the injury situation. Socceroos coach Graham Arnold said: "We have great confidence in the staff at Celtic FC to manage Daniel's injury appropriately. FFA's performance team will continue to liaise closely with Celtic and Daniel to provide Daniel with whatever assistance he requires." Arzani shaped as a key part of the UAE campaign after Socceroos coach Graham Arnold's declaration of attacking football after a defence-orientated World Cup. The injury could open the door for Adelaide United winger Craig Goodwin, who scored a double in a virtuoso performance in this week's FFA Cup final, won 2-1 by the Reds over Sydney FC.